 Staking An Orchid: How Do You Get An Orchid To Grow Upwards? My name is Kimberly and I have been enjoying your e-mails and tips on a better life for my orchids. How do you get the orchids to grow up? My orchids want to fall over. Excellent question! Getting your orchid’s flower spikes to grow upward is easy once you’ve gathered the right tools. You can stake spikes at any time, but there IS a particular time that’s ideal for staking. Ready to learn all about staking spikes?